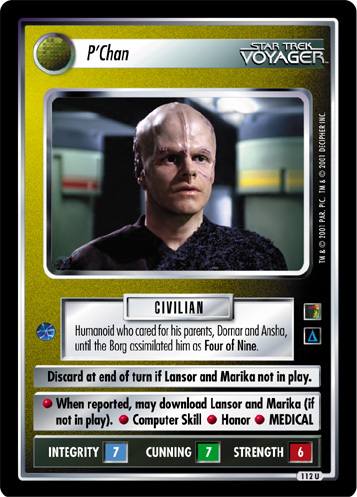 Romulan medic. Borg, liberated in 2368. 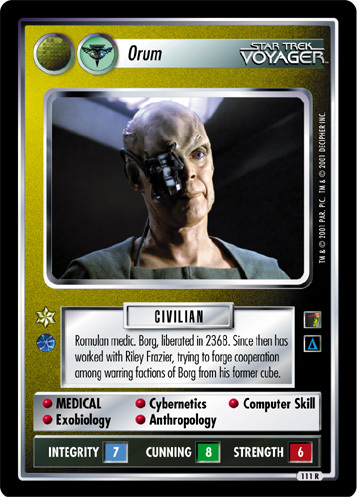 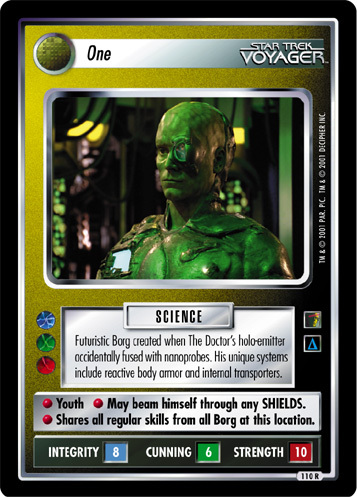 Since then has worked with Riley Frazier, trying to forge cooperation among warring factions of Borg from his former cube.